The book "Biology, Ecology and Management of Crown-of-Thorns Starfish" is the latest authoritative work across 30 years of COTS research. Comprised of 18 new research papers and reviews, the book highlights both significant scientific advances and emerging opportunities for targeted research. Prof Pratchett's research over the past two decades has contributed significantly to understanding the causes and consequences of outbreaks. He describes COTS outbreaks as `akin to locusts' and said there was still much to learn. 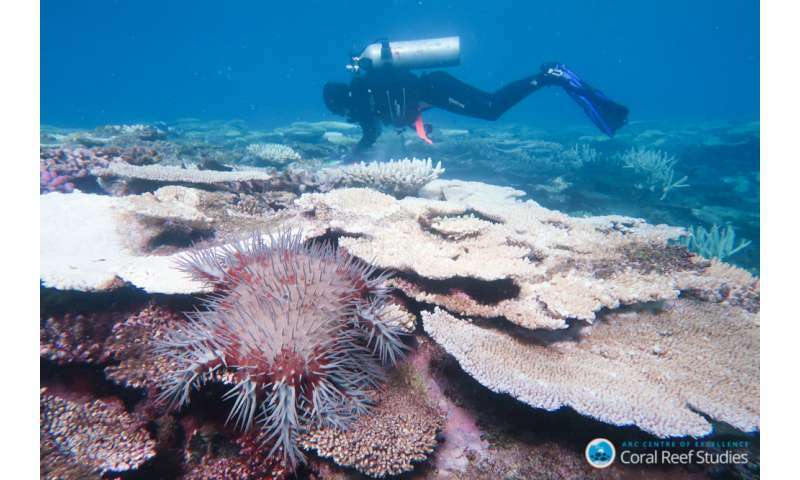 "Outbreaks occur on many reefs throughout the Indo-Pacific, including the Great Barrier Reef, and contribute to the widespread degradation of these valuable ecosystems," Prof Pratchett said. 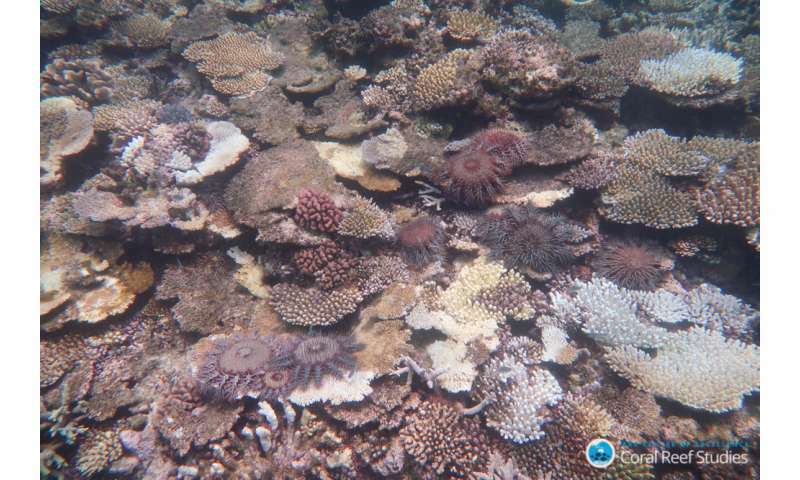 "Despite significant research on the biology and ecology of COTS, there are still some considerable knowledge gaps and opportunities for important discoveries. 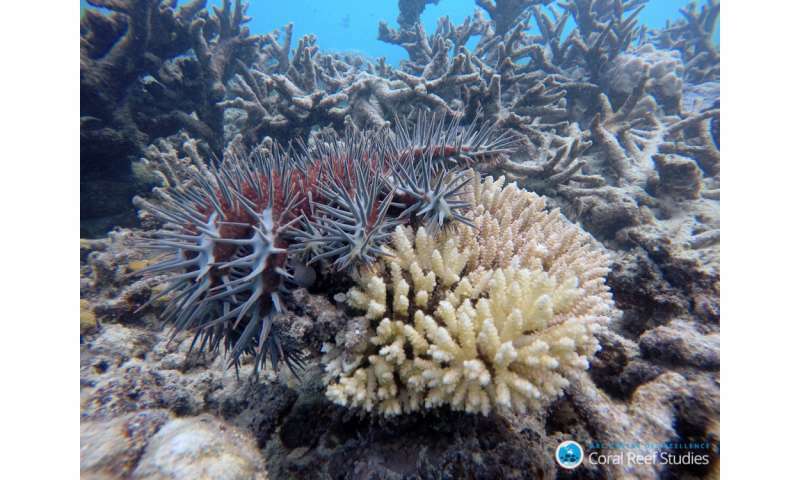 The few surviving corals of the 2016 bleaching event are now facing increased per capita predation by coral-eating crown-of-thorns starfish and Drupella snails, further decreasing live coral cover and hindering reef recovery. Torres Strait, northern GBR. Credit: ARC CoE for Coral Reef Studies/ Gergely Torda. "More than a thousand research papers have been written about these animals, reflecting the ecological impact and management concern surrounding COTS outbreaks." "We must focus on key questions that will improve management effectiveness in reducing the frequency and likelihood of outbreaks, if not preventing them altogether," Dr Uthicke said. "There is still a lot we do not know about these starfish and effective management is conditional upon improved knowledge of their biology, especially during the very early life stages, when the starfish are extremely small and very cryptic." The Special Issue "Biology, Ecology and Management of Crown-of-Thorns Starfish" is published in the journal Diversity and now available open access with MDPI books.